Our May Member of the Month is Shanae Williams. The end of April saw her lining up at the l African Championships in Rabat Morocco as part of the South Africa Team. Time to produce the goods. The U23 elite girls had to race with the seniors in a very tough race. The swim suffered from extremely cold water and strong currents so much so that a number of athletes dnf’d on the swim. Shae decided to swim with two senior girls Adele Radford and Gillian Saunder ( olympian and two times Commonwealth Games athlete) using their experience of the conditions and came out in the lead with them. The bike course was wet and slippery and saw a number of crashes including one with Shanae which meant that she lost contact with Adele and Gillian. This lady was not going to let this impact upon her and she time trialed for the rest of the bike to come in as 3rd a position she held on the run that saw her finish 8 mins ahead of the next athlete. Shanae followed up on this success by racing in Tunisia two weeks later against a very strong field of 20 Athletes ( 15 of whom were from Europe ) and came a very respectable 4th in U23. 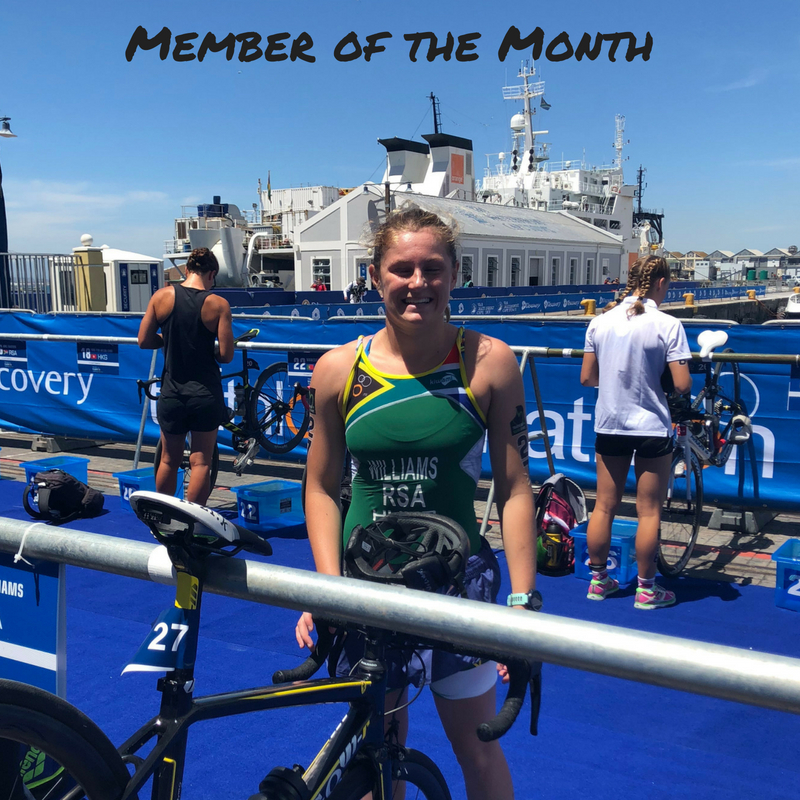 So big congrats to Shanae Williams Dinamic Athlete of the month and U23 elite African Champion. DC: How long have you been training with Dinamic Coaching? SW: Just on two 1/2 years. DC: What has been your biggest goal achieved as a triathlete? SW: Racing at Worlds in Rotterdam last year. DC: What are your short and long term goals going forward? SW: Short term to be top 15 at worlds in 23 elite this year. Long Term Tokyo Olympics. 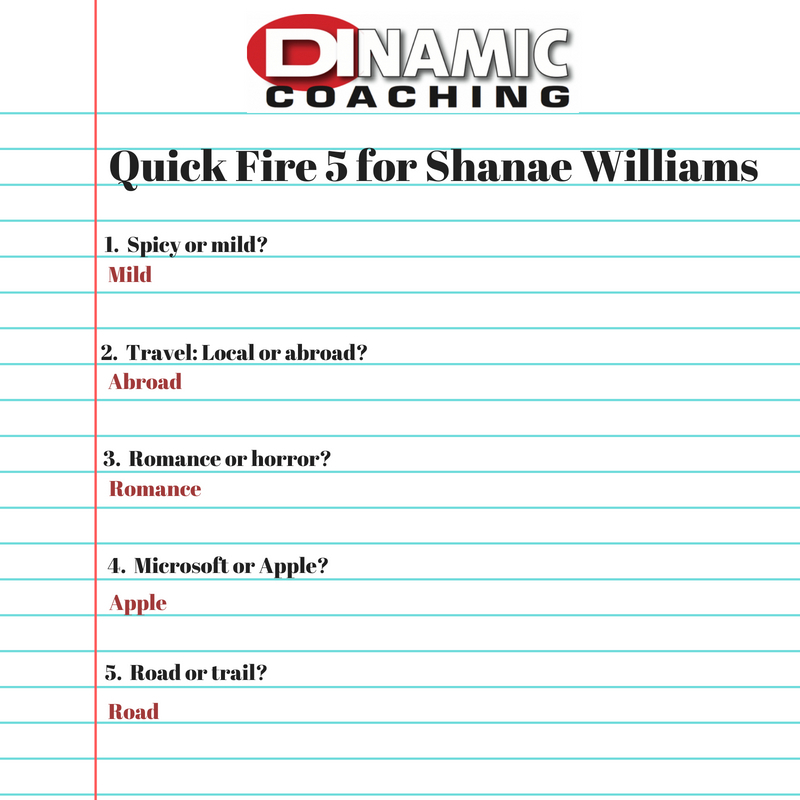 DC: What is the most valuable asset you get from training with Dinamic? SW: Motivational coaches, individualised traINING to suit my specific needs. DC: What is your favorite and worst training session and why? SW: Favorite = 10 * 400m in 5:08 leaving on 5:30 just brutal. Worst Long slow runs cause there boring. DC: What is your most embarrassing triathlon related moment? Slipping and falling on my backside in T2 in front of VIP and TV cameras at Worlds last year!